An 18 year old Australian girl goes to Iceland on a Rotary Exchange program, hears of an execution which incidentally is the last one there, then spends ten years in research and converts it into a spellbinding story – that is Hannah Kent and her debut novel ‘Burial Rites’ for you. Agnes Magnusdottir is awaiting execution for the murder of her former employer and his friend. The story is set in early 19th century. The execution is to happen in the area where it happened, but there are no prisons there. Jon Jonson, a regional official is forced to take her into his household for safekeeping until the deed is done. His wife Margaret and their two daughters have mixed reactions to Agnes being with them. The story unfolds mostly through Agnes narrating it to Toti, the young priest who is assigned to make her repent before her death. Margaret has heard bits and pieces of Agnes’s story and she is rightly uncomfortable with having to put up with a murderess in her life that is already fraught with enough pain and challenges. But her innate goodness comes through right from the beginning. The background that is set is already stark with the unbearable cold and the dilapidated, grimy state of their surroundings. Even that seems mild in comparison to the state that Agnes is in. Margaret cannot ignore it even though she had decided not to have too much to do with the fallen woman. Agnes slowly settles herself into the household silently, and she turns into a support that Margaret desperately needed. The two daughters are a contrast in characters and the way they treat Agnes. As her story unfolds, along with the reader, the family also comes to know of the why and how of what happened that night. The maturity of the writing and the understanding of the psyche of the characters is truly commendable. What held my attention was the nuances of the underlying emotions between the women. The connect that only women seem to have, the subtle ways in which Margaret shows her support for someone who has no one else in the world and how she defends Agnes against her nosy neighbours tugs at your heart. Agnes, like any other woman longs for stability and validation that has been denied her right from childhood when her mother leaves her when she was six. The manner in which her life turns out shows us how circumstances and people’s opinions can make or mar us. It underlines how nothing ever is stark black or white, and it is in the gray areas that we live and love. The characters are drawn out so well that we can almost touch and feel them. It is as though you are lying in one of the beds in the room and listening to Agnes pouring her heart out to the young priest. You cry for her as she refuses to taint anyone, especially the baby that she saved the life of. And the despair and futility of it all, when finally the inevitable happens. I don’t know why we are so amazed reading a brilliant debut novel, especially by someone young. How can one write about such emotions without going through something similar, we wonder. Then you realize, that is what brilliance is all about. That one can write so deeply about something they might not have experienced. A must read, I would say. And totally deserving all the awards that it garnered. Eating wasps. Haven’t we all? Mistaking it for a honey bee, hoping and dreaming that it’s an eternal pot of honey that we have caught. Only to be stung, the honey turning bitter the moment it enters our mouth. We come across them, one after another. Those that attempted to catch and eat wasps of validation. For Urvashi, it was her desirability after fifty, for Megha, that she was lovable, for Najma, that there was life after a horrible tragedy, for Brinda, that life was all about demolishing her opponents, for Lilliana, a life after a scandal, for Molly, the act of contrition that she is trying to figure out. There is a little bit of us in each of those women. The never ending attempt to validate ourselves, in someone or something else. As if our very existence will not be justified until someone makes a tick mark. The ever elusive ink of approval. That we are desirable, lovable, worthy, wise, valuable. And we go in search of one chimera after another. That eternal pot of honey at the end of the rainbow. If we cannot get the whole pot, let’s at least get that honey bee. So we run after them, knowing not what they are. And getting stung. What is endearing in these stories is what happens after the bitter bite. When they realize that it is poison that they consumed. It starts with Radha, I would say. Those of you who have read the author’s ‘Mistress’ would remember her. I did not like how the story ended, honestly. The meekness, they very ordinariness of her decision had enraged me. She stays in the background in this story. But the place is pervaded by her soul, the steely resolve in her can be felt in each stone of that place. And I love this new Radha. The women make their own honey in spite of, or maybe because of the wasps that consumed them temporarily. Is it because all of them are contemporary, I wonder. The reach of social media, the ready availability of news from across the world makes them aware that they are not alone in this journey. Many have trodden the path that they now embark upon. They were stung too, but they just spit the poison out and continued. Not in the least bothered about their swollen lips and blue faces. And that makes me wonder whether Sreelakshmi would have a taken a different path had she lived in these times. She made an attempt at going on a road less travelled much before it was built. Only to fall. The men in these stories seem to have gone scot free, left to live their lives as they wanted. But then, isn’t that too what happens time and again? Slices of life as we know it. Maybe that explains the heavy feeling that hung upon me even days after finishing the book. I paid a fortune for this set, 12 years ago. In fact, it was in about fifteen months of installments that the payment was done. By far, the best investment in money till date. There was a set of 10 step by step ‘ learning to read ‘ books that came long with this. Both the kids started their affair with the written word with those. Have lost count of the number of times I’ve read it out to both of them. The first word that they could read, the wonder filled joy on their faces, is still the most priceless feeling in the world. People ask how do you make kids read? The only way I know, read out to them, day after day, the same pages again and again. With the first born, there was more time, I have to admit with a twinge of guilt. We would read diligently, morning after morning. That was the easiest way to wake him up, “get up, let’s read.” We would lean on the temple wall, waiting for the school bus, reading whatever he picked up for the day. At random, continued from the previous day, or something that piqued his interest. There was no method, nor any plan, we just read. The next round belonged to a contraption I hate with all my heart – the X-box. The day it came into our lives, sounded like the death knell of books. The silly thing never knew the power of a miffed mother, though. As the addiction grew, so did my resolve to fight back. We reached a compromise , Monday to Thursday turned to no screen days. Voila, the lovers were back together, again. Life is like the tides now. It ebbs and flows, when the son’s eyes turn red, the mother’s decibel levels rise. But we’ve learned to live together, the books, a few screens, the son and his mother. For, now I know he has a friend for life. When he seems lost, I can see his hands stretching out to his bedside table and a light shining under the door long after the midnight clock has struck twelve. He is in safe hands. Now, the daughter is another story by herself. She lives in another universe altogether. Of elves and fairies and all things bright and shiny. Having escaped the world of making night into a work day, I started reading to her while making her sleep. “One more page” was like music except on some days that was particularly exhausting. But again, read we did. Whenever and wherever we could. To my utter horror again, she followed her brother’s footsteps. No Enid Blyton! How could my very own turn traitors? By then, I was too old and weary to fight losing battles. I should have known where she was headed the moment she started picking up fairy tales. The Pottermaniac is growing up I know when I see her stacking up Archie’s during our monthly ritual of visiting Blossoms. 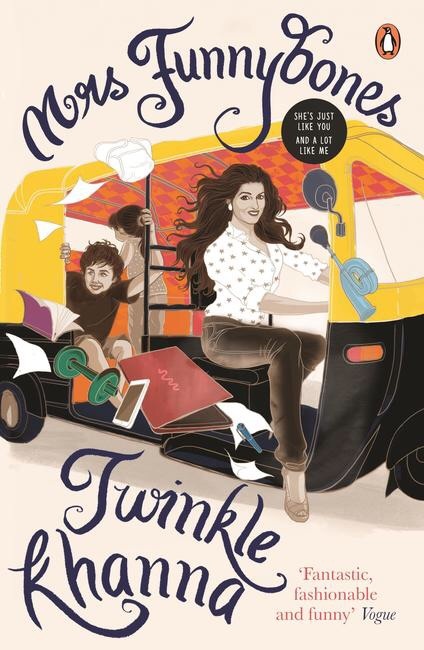 Her books are filled with colours, just like her soul – Thea Stilton, Tinkle, Archie’s, Fairy Tales and of course, Harry Potter. That first set of English reading books went to my nephew an year ago. While on a cleaning spree today, I realize it’s time. For the next set to find a new home. To entice another little one to the magical world that words are. Dear Ouseph, it’s not mere books that are coming your way. It’s the keys to magical kingdom, that was guarded lovingly by your chettan and Chechi , protected fiercely by your ammai and looked upon with indulgence by your uncle. Drink from it, satiate your hunger for knowledge and guard it with your life. Until you pass it on to your little brother. But then I know it cannot be otherwise, for it is your grandfather that took a young girl by her hands and led her to the bright and enticing world that was hiding behind the dark shelves of the long forgotten ‘The English Bookhouse’ . Acknowledging that you are vulnerable, asking for help when you need it. Most of the time, it takes something that shocks you out of life as you knew it, to bring you to your knees. We wonder why certain things happen to us. The reasons may not always seem clear in the beginning. And it is revealed only to those who search for it, with all their heart. I’ve always respected this woman, though ‘Lean In’ was not something that I fully subscribed to. Then came her husband’s death. How she reacted to it was beyond belief. She opened herself up, completely. In the process she has inspired millions to open themselves up, to have the courage to accept their vulnerabilities, and say it out loud. Coming from one of the ‘strongest’ women in the professional world today, this must have let out a huge sigh and more than few tears from men and women alike. The myth of ‘having it all toegether,’ come what may, has been busted. This is what true inspiration is all about. Two books that I read and re read in the past few months reiterates this. Read and then tell your story. It will make you free and make some others open up as well. For, healing happens when you share yourself. Are you one of those who have always believed Rajesh Khanna’s and Dimple Kapadia’s first off spring could not act even if her life depended on it? Let me admit, I was one of those. To add insult to injury I even thought she was one of those dumb star kids. And then, she disappeared from the silver screen into the arms of a chef turned action hero from Hong Kong (originally from Punjab). The next we heard she was busy spreading the aroma of scented candles and ornate furniture. Until one fine day, she started writing. Or, to put it in the right perspective, her writings start getting published. The stereotype that I am, again typecast her as one of those over rated star wives. Mea culpa. It’s been more than one year since I’ve started reading her columns and I’ve only grown to like her writing more and more. Contemporary topics talked about in the tone of a light banter and with an impeccable sense of tongue in cheek humor has become her trademark. She doesn’t spare anyone, most of all, her family and herself. The book is no different. The best part about the book is the fact that she writes about things that she is most comfortable with and those she can relate to. No pontification from the roof, nor is it malicious. The characters are very familiar, after all many of them are stars in their own right. Her mother, the charming Dimple is portrayed as someone whose only purpose in life is to rededorate her daughter’s home, every day, if possible. The husband, lovingly referred to as ‘the man of the house’ is this food loving, macho Punjabi who lives this funnily dangerous life. One is left chuckling on remembering it is in fact the action hero, Akshay Kumar, that she is talking about. What connected with me is the sheer simplicity of her language and the down to earth approach she seems to have towards life. We also realize there is a sharp brain that is churning out these words. And this is corroborated as she mentions a certified IQ of 145. The manner in which she presents her achievements takes the ‘brag’ element out of it. ’97 marks in Maths and 97 kilos in weight,’ as she puts it. Theirs is one of the long standing marriages in Bollywood. And it appears to be going strong after more than 15 years. No wonder. The guy knew a good thing when he saw her. Well done, AK. She Is totally worth it. A girl with super brains and a kiackass sense of humor. Can’t beat that combination. Verdict : Ignore that vada paav and have her for chai today. Seriously. Some books leave a lasting imprint on your soul. You might forget most parts of the story , the characters must have long receded into some obscure part of your amnesiac brain, even the author would have been long forgotten. But, the moment someone mentions the name, or you see it referred to somewhere, a picture pops up in your mind. It takes you right back into that place and mood you had escaped to and sets you off on a dream, again. Some books leave a colour on the palette that your mind is. One that immediately pops up – ‘The Shadow of the Wind’ by Carlos Ruis Zaffon.’ Sepia tones, bronze lighted up with sunlight and dreary brown in between . The dark mood of the story commingled with the eternal eagerness in the young boy’s mind. The colour of a classic movie. The picture takes the form of a person in some others. Esteban Trueba, the ageing patriarch in Isabel Allende’s ‘The House of Spirits,’ with a forlorn look on his age withered face, loose trousers and a shirt that is too large for him, billowing in the wind, an antique walking stick in his right hand and the left hand slightly lifting the faded hat of his half bald head. As I move to her ‘Paula,’ it is the author herself that catches me by the throat. In fact, there are two pictures that keep coming back to mind. A self assured young woman running up and down the streets of a slowly disintegrating capital citu. Neither does she have the time nor the inclination to even think about others or what they might say. The focus is on the next interview and the safety of her children. The determined look hasn’t changed a bit as we meet her again, years later, by her daughter’s sick bed. A mixture of emotions on her face, from hope, to despair, to sadness and finally, of peace. The book left me with a feeling of contentment, the kind that comes only with pain and acceptance. ‘The Elegance of the Hedgehog’ is the cantankerous Renee`, seated in front of her TV that is tuned low, a voluminous book in her lap and eyes darting surreptitiously to the door every time there is the slightest of movements. Paloma is a sophisticated version of Heidi, her mischievous eyes hidden behind a philosophical demeanour. Some pictures light you up from within. It’s your own dream in another’s words. As if the author sneaked into your head and spirited away your deepest yearnings , only to give it back to you, as a gift of love, in the form of ink on paper. The house keeps changing. Today it is a tall, white colonial structure with large French windows, stately wooden chairs placed in just the perfect manner. White silk curtains fluttering in and out in the breeze on a bright sunny day and the chairs adorned with fluffy cushions in raw silk with most delicate of embroideries in red, green, pink and blue. Tomorrow it will be a low roofed building of red bricks, wide stone paved veranda with lush green plants in planters of all odd shapes and sizes. Bougainvilleas creeping up the sun beaten stone pillars, arm chairs in cane and rattan that speak of morning coffee and scones, afternoon siesta, the heady aroma of evening tea and long hours of exciting reads. I step out with an apron in pastel green tied around my waist, a tray of freshly baked muffins and garlic bread in hand. The table is huge, seating more than a dozen at a time. Faded white linen cover and mats in natural fibre, the serving plates are in white with a thin silver line around the edges. A large pitcher of ginger lemonade, a bottle or two of wine in ice, the clinking sound of crystal, baritone voices, musical notes , reminiscing chuckles, a sigh that escapes now and then, baby laughter, the rustle of silk, the comfort of cotton and the mountain breeze bringing in a whiff of the centuries old olives. Those who know me well, would know the book in an instant. ‘Under the Tuscan Sun.’ One day, soon. Now go ahead, close your eyes. Tell me , which book was that, what is the picture that comes to your mind in an instant and leaves you with a smile, a tender sigh, an inexplicable longing? The year saw few books on food. Quite a surprise, considering the ardent foodie that I am. Maybe it has to do with the amount of baking that I did last year. It might have been an overkill. But, read I did, a few. The aroma of bread baking in your oven must be one of the most heavenly ones that you could ever experience. No wonder then that Barbara O’Neal’s ‘How to Bake a Perfect Life‘ found a place on the list. 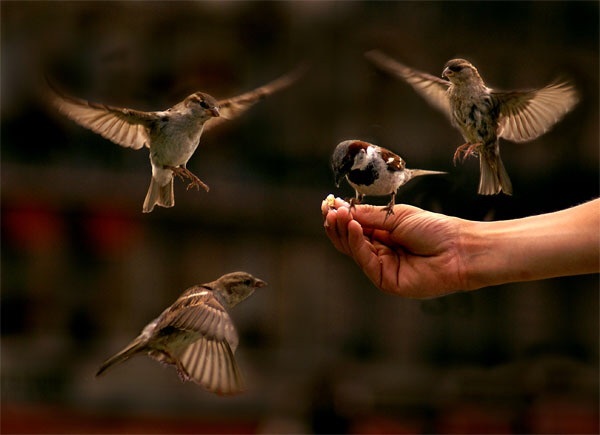 A simple, heart warming story of a single mother, this is an easy and pleasant read. Perfect for a winter afternoon or a rainy evening. ‘A Homemade Life: Stories and Recipes from My Kitchen Table‘ by Molly Wizenberg was the next on the list. Another one that I would recommend only if you are a foodie. I loved it, by the way. I’ve always been envious of restaurant reviewers and critics. The amount of free and scrumptious dishes that they get to taste and the way they write about it so authoritatively leaves me wondering at the kind of life they lead. The fact that many of them still look fit and lean in spite of all the gourmet food confounds me no end. 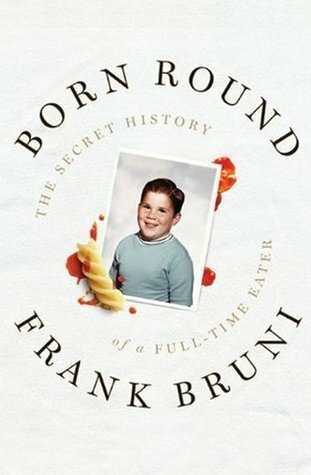 Frank Bruni’s ‘Born Round: The Secret History of a Full-time Eater‘ was an eye opener in many aspects. This was a four star one on my scale. The best part of having book lovers for friends are the new authors and genres that you get introduced to. And when they come in a group, that’s the biggest blessing a wannabe bibliophile could ask for. Some of the best reads of the year reached me through these kindred souls. It was from Maya that I first heard of ‘Infidel.‘ Promptly bought, the book stayed in the shelf staring at me for more than a few months. But, there was no stopping once it was opened. Some say half of it is made up. Even if the the other half is true, it’s too gruesome a tale to believe, it has to have happened. And I respect the spirit of Ayaan Hirsi Ali to have not only escaped a prison but also to fight for women like her. Some of the much touted ones left the reader in me disappointed. Neither the story nor the style could hold my interest whether it was Tina Fey’s ‘Bossypants‘ or Sidin Vadukut’s ‘The Sceptical Patriot‘. As in food, I turn adventurous with books also. Sometimes, it is the title that calls out to me, while at other times it could be the blurb. This habit has led me to some treasures and to some disappointments as well. The one that I loved in this group is Jonas Jonasson’s ‘ The Hundred-Year-Old Man Who Climbed Out of the Window and Disappeared‘. The story is as outrageous as the title. A sprightly centenarian who was instrumental in inventing the atom bomb, was friends with Truman, Franco, Mao and Nixon, not to mention some higher ups in KGB, and then decides to run away from the old age home on his hundredth birthday. What follows is equally hilarious. A suitcase full of money, a dead body and an elephant. This one was a riot. One that totally disappointed in spite of a promising start was ‘The Peculiar Life of a Lonely Postman‘ by Denis Theriault. I finally read an Anees Salim book in the last month of the year, ‘Vanity Bagh‘. Maybe the expectation was so high, that it had to be a disappointment. Loved the language and the images, especially of Vanity Bagh which in itself is a character, but there was this nagging feeling of missing that special something. Shashi Tharoor did not disappoint with his short essays on reading, writing, books and authors with his ‘Bookless in Baghdad: Reflections on Writings and Writers‘, though I have to admit a few chapters were beyond my comprehension. And now, for the book of the year. If I were asked to choose one from the eighty plus that were covered during the year, without a second thought it has to be ‘Aarachar‘ by K.R.Meera. Set in Kolkata, this is the story of Chetna Mallick, last in the line of a family of hangmen, with a lineage of more than 400 years. Meera’s women were always a class apart. Chetna is no different. Courageously moving into a role that was till then reserved for men who were strong in character and build, she is fearless and practical. Interspersed with history, Kolkata comes to life in front of your eyes as does its characters. The story also brings out the shallow world of media, of which the author herself was a part of. Meera is easily one of the best writers in India today. 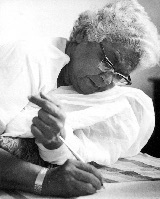 It is indeed a pity that she and her works are rarely known out of Kerala. ‘Hang Woman,’ an English translation by J. Devika is now available. 2014 has also been an year in which the reader in me slowly started shifting focus to non-fiction. The New Year has also started with the same genre. As I wander through Psyche Abraham’s ‘From Kippers to Karimeen‘ I realize again, life is indeed far more interesting than fiction. But then, doesn’t fiction grow out of life? Resolutions and promises are alike. The intention is always good, unless it is to kill someone . The year started with a resolve that in hindsight sounds lofty. To write a review on each book that I read. That reminds me of another challenge that I took up on myself. To read 100 books against 80 last year. If you get the drift of how most things in my life turn out, suffice to say the well begun things still remain half done. In fact, that was one proverb that has confused me no end as a kid. If you begin things well, would it always remain incomplete, my young brain used to wonder. Not that it has got better with age. The brain, that is. Anyway, if not all, let me make an attempt to run through some books that I enjoyed, a few that I loved and certain others that started well, and well, lay somewhere between the beginning and the end. The year started slow. Work was low key, books were aplenty and I had all the time in the world. Chin propped on a few pillows, body spread languidly on my bed, I would read a few paragraphs and then gaze out into the horizon, lost in a world that was far away, yet so familiar. A dilapidated stone villa somewhere in the beautiful hills of Tuscany, pathways covered with bright bougainvilleas, olive trees all around and an ancient kitchen, it was as if the writer had got into mind and stolen my dreams. It took me almost a week to finish the book, it was like drinking vintage wine, sip, swirl and savour, at leisure. 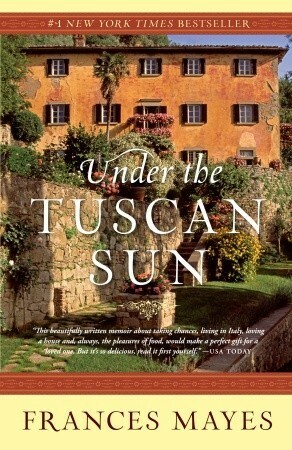 Her memories of restoring a run down Tuscan villa, Frances Mayes’ ‘Under the Tuscan Sun‘ is definitely one of my favorites this year. The next one couldn’t have been a wilder contrast. Life is not just stranger, it is much more starker than fiction. This was one story that proved it, yet again. A much talked about one, this was on the reading list for quite sometime. The Middle East is a land of honey and gold, for those who have never been there. To each who has made his millions there, there are hundreds who have burnt themselves, caught in a life that you could never even imagine. 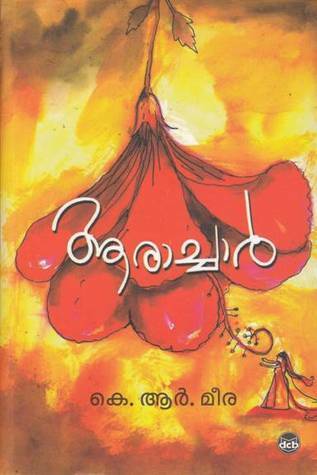 Benyamin’s ‘Aadujeevitham‘ (translated as ‘Goat Days’) leaves you disturbed for days after you have finished reading it. The taste that it leaves behind in your mouth is something that you would find difficult to swallow. Authors are a breed that I normally know through their books and they inspire awe more than love and affection. This was a year that I learned the reverse could be true as well. When someone whom you love like a little sister publishes her first novella, one doesn’t need another reason to celebrate. When the story turns out to be as lyrical as a poem, it is like the proverbial cherry on the cake. Intermingling myth and love, Neelima Vinod has woven a story that is as beautiful as the yakshi in the old palace. ‘Unsettled: The Search for Love and Meaning‘ was a short and delightful read. The year also saw a passionate book lover turn into an e reader. It is a blessing to have someone in your life who notices what you do and then tries to ease your burdens that extra bit. The husband must have been noticing the weight of books that I lug around wherever I go, that he decided to gift me an iPad for my birthday. The transition was not easy, I admit. And I have to admire his optimism, a Kindle that was gifted two years ago lay long forgotten in the dark recesses of a cupboard. What they say about first impressions must be true about first reads as well. 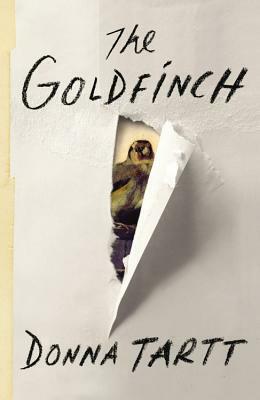 ‘The Goldfinch‘ by Donna Tart, which had won more than a few awards was the first e book of the year. To say that I was hooked would not be an exaggeration, by the book as well as the device. Given a choice, travelling is something that I would do for a living, second only to reading. The motto is, if not in real life, vicarious at least. No surprise then that stories of travel turn favorites. I have to admit women travelling alone is something that fascinates me no end. And this was an year that I got to do a much longed for solo trip. Let me not digress. So, it was with great expectations that I started with ‘Without Reservations: The Travels of An Independent Woman‘ by Alice Steinbach. It didn’t take long to realize that what each of us expects out of travel and life could be as varied as chalk and cheese. It was not all bad for travel, though. I first heard of P.G. Tenzing through his obituary. Someone who went before his time, to borrow a clichéd phrase, he might have had a foreboding as to what was waiting for him. 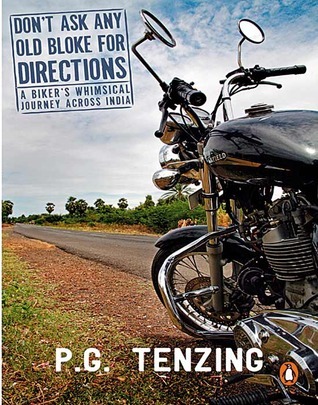 For, he chucked his Civil Services job and went on a ride of his life on his Enfield Bullet. ‘Don’t Ask Any Old Bloke for Directions‘ is a celebration of friends and life. Husband says he is thankful I don’t ride a bike. He knows me well, I should say. Else, who knows where I would have taken off to. Having resigned to the fact that there are some things in life that you may not get to do, this book has rekindled my hopes. ‘The Mom Who Took Off on Her Motorcycle‘ by Diana Bletter may not be great literature, but it did remind me again that you are never too old for anything, even to get on a bike and ride all the way across to Alaska. ‘Things that your heart yearns for come searching for you’ is something that I live by. Life has proved it to me time and again, especially in the case of books. Serendipity it is then, when you find one of the best travel books of the year while travelling. The first thing that the eyes search for in a new place are the books that adorn the shelves. I have to be honest here and admit the expectation level was pretty low as I picked this book up from one of the old wooden shelves of a home stay in Himachal Pradesh. Alone, but not feeling lonely at all in the mountains, I was prepared to read through a documentary kind of book. The evidently Malayali name of the author had also piqued my interest. 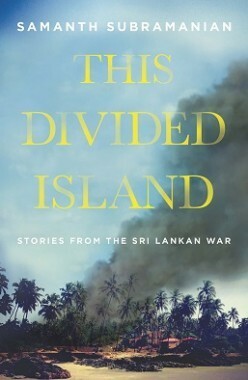 To say that Vivek Menon had me by hook right from page one would be an understatement. 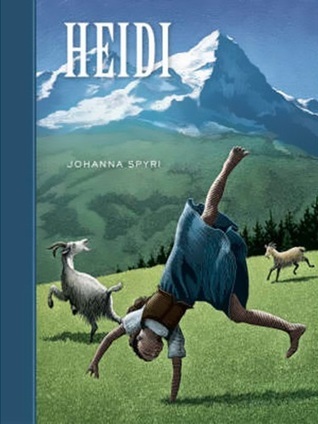 Tales about nine animals that were on the verge of disappearing from the face of the earth, in a style that has no parallels, the book had me in splits several times. Sparing no one including himself, he regales us with tales of rogues as well as honest to the core forest officers thanks to whom we still have semblance of forests across the country and animals in them. From Eravikulam to Ranthambore to lesser known national parks like Laokhawa in Assam, the author takes us to places we may never get to see otherwise. The sad part is that we may also never get to see the animals that he talks about, thanks to the roaring underground trade in exotic animals and birds. ‘On the Brink: Travels in the Wilds of India‘ is one of those rare finds for me this year. Especially because it has kindled my interest in a genre that I rarely venture into. A must read, for wildlife enthusiasts and those who love a good read. “That’s the thing about books. They let you travel without moving your feet,” observed Jhumpa Lahiri in ‘The Namesake.’ If not for books, how could you traverse the paths followed by those famed travellers of the past? Marco Polo was just a name in school history text books and some passing references on travel. Until I read ‘Marco Polo: From Venice to Xanadu‘ by Laurence Bergreen. 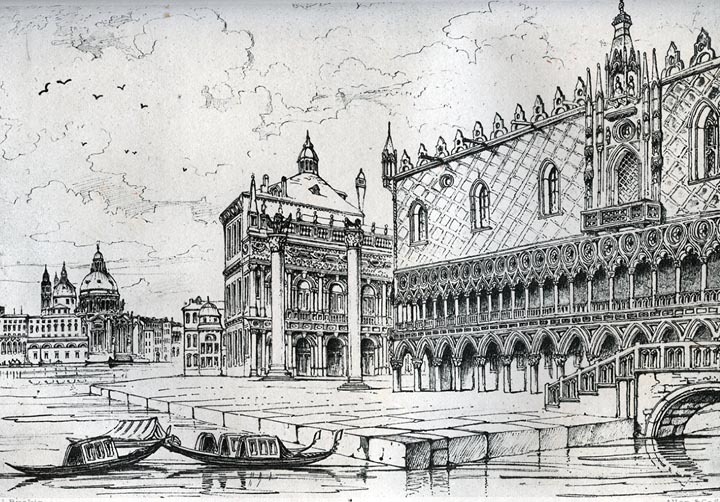 An expedition that ran over twenty four years, from Venice through Constantinople, Iraq, Afghanistan, Mongolia, China , Tibet, India and back to Venice. It is a treasure trove of customs that sound strange to us, of people whom we consider barbarians yet seem to have been far more progressive than us and of lands and paths that the wanderlust in our souls yearns for. Marco spent seventeen of the twenty four years serving the Mongol Emperor Kublai Khan, son of the great Genghis Khan. This is again another book that a lover of history and travel should not miss. It would have been no coincidence that two of the best books of the year were on travel and I got to read it during one of the best travels in my life. I cannot but mention another one that I read before my travel. It was a few quotes from his ‘On Love’ that made me go exploring the books of Alain de Botton. However,the first book of his that caught my attention was ‘The Art of Travel‘. The title was misleading, I was expecting to get some glimpses of the author’s thoughts on how to take travel as an art. Sometimes, not meeting your expectations can be a huge blessing. The last chapter of the book was the best and will stay with me for life. ‘On Possessing Beauty’ as it is called, talks about John Ruskin, an artist whom I’d never heard of before. According to Ruskin, humans have this innate desire to possess beauty. And he says, the only way to possess it is by understanding it. And the most effective way to understand, you ask? This had set the tone to how I experienced the places and people on that trip. Look and observe, think of the minutest details, listen to the leaves rustling around you, feel the wind and its myriad forms on your face, in the water, see how the mountains change colours, in short be still and know the nature. When the hustle and bustle of daily life frays my nerves too much, I go back to Botton and Ruskin. Absolute serenity, it is.